This film opens in Sydney this week. 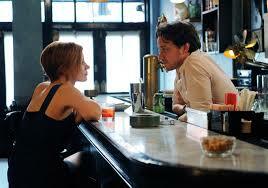 The Disappearance of Eleanor Rigby – Her is showing at the Sydney Film Festival. The whole Disappearance of Eleanor Rigby project is better appreciated if you retain the idea of subtlety, keeping it as a filter of sorts through which to view the three films, if you are inclined to attend all three – as I am. You see them in any order, at the film festival I have seen Her first, Him in a couple of days and I will see the conjoined version Them when it comes to our screens later this year. It is about subjectivity, therefore point of difference is an essential component, and yet at the same time, first time director Ned Benson (who was the buddy of Jessica Chastain when they were both nobodies) is clever enough not to take the films to the political, rather retaining an individuality in each protagonist. The result is not as easily defined as “through the eyes of her” and then “through the eyes of him” style of project as if the different ways men and women view the world were some sort of dividing line, each side adhering to a different set of rules. Benson is clever enough (or rather was clever enough to listen to the women around him) to see that he had a “him” story when he first presented it to Chastain, who suggested from a woman’s perspective, the film could use some “tweaks”. It was after speaking with her, that he decided he had two films on his hands. The Disappearance of Eleanor Rigby is a film about a married couple going through a devastating loss that profoundly impacts on their relationship. Within the context of this loss, each has to deal with the other, and it becomes too hard for Eleanor (Jessica Chastain) who removes herself from her marriage to Conor (James McAvoy) and subsequently keeps removing herself from other aspects of her life. She moves back in with her parents (Isabelle Huppert and William Hurt) but cuts off her long hair, wears dark makeup, and hides behind sunglasses a lot. She turns mirrors around so she can’t see herself. She retreats into a place inside, in her effort to escape a pain that is tearing her apart. Her perpetually drinking mother offers her alcohol (that’s much funnier than it sounds), her nervous father suggests counseling, and her brilliant university lecturer (Viola Davis) just keeps an eye on her, but for the most part she wanders, trying to find her way, and trying to piece together a life out of the debris left when hopes are destroyed by devastating loss. However, equally as captivating, is the back story to Eleanor Rigby, a pair of films eight years in the making, originally fashioned from a close relationship between Jessica Chastain and Ned Benson, buddies from the lean years. They met ten years ago at a film festival, after Jessica raced up to Ned and told him how much she admired his short film and wanted to work with him one day. They became firm friends, seeing films together, dreaming about the sorts of films they will make, and eventually working on Ned’s script together. Their dreams included working with Isabelle Huppert and making a relationship film in the space of two favourite film makers, Godard and Lelouch, both of whose movie posters appear in the films. Jessica Chastain’s excitement for her friend is palpable and her “give-it-everything” performance, partly just because she’s good, partly because Benson cast her idol as her mother and partly to make the most of her friends film, is intimate and subtle, exhibiting the kind of restraint one wold expect from a Huppert inspired performance. The camera follows her around, often sitting with her in her more slouchy, grouchy moments, revealing the tragedy slowly from her perspective. Eleanor Rigby (thus named because her parents met at a Beatles concert and her father surname is Rigby) is a deep, complex, bright woman who had given up a lot for a pregnancy, only to find herself forced back through time and having to revisit those choices. Faced with picking her life up from where she left off, she sits on a precipice, a terrible tragedy giving her a kind of ‘do-over” that she feels guilty about embracing. Benson is a good director, and even better than that, he’s wise and despite the central conceit of making two films together with one of the best casts in the world, he is a modest film maker who knows how to place his performers at front and centre, as well as how to mute his own voice on behalf of the narrative flow. This subtle distinction gives the film a great deal of depth, far more than we otherwise glean from a shorter film. It takes some investment to stay with it, but the rewards are there, and for the true film fan, it’s worth the challenge as it presents a fresh perspective. I’ll say more when I’ve seen the Him version, later this week.